Last week I got a little discouraged. After serving as a pastor in traditional church settings for over 20 years there were things that I began to miss. I missed the steady long-term relationships that develop. When you pastor a church for a long time you make lifetime relationships that grow even generationally. You may even have the privilege of leading someone to Christ, conducting their wedding, dedicating their babies and in time even conducting their babies wedding, if you are there long enough. I missed the security of a piece of land with a permanent building dedicated to the meeting place of the members with its designated spaces for children, youth and adults, worship, eating, playing, etc. I missed the organized ministry teams that focus on a specific area of ministry and see that all in that realm is taken care of. These are all things that take years to develop and are strong positives of an established local church. As I reflected on past blessings and began to get a little sad the Lord showed me something in my spirit while driving to share my weekly message with the Beach Club residents. Pastoring a traditional local church is kind of like ministering in a lake while planting a new church or ministry is more like ministering in a river. In a lake things remain relatively the same and change slowly. There will be some new fish, ducks, turtles, etc. that come in periodically and there will be some that fly away or slip over the dam. However, in a river the fish, ducks, turtles and water is always moving and changing. In a lake, you can invest years of discipleship and ministry in a group of people but in a river, you may only have minutes to share the gospel or plant a seed or help someone to the next step in their walk with Jesus. The Lord is showing me that both ministries are important and have a place in the kingdom. I believe the river is the place where most of the lost and unchurched believers are living their lives today and that is where God has called me and my family to serve or “fish” for now. It has been an exciting adventure and every week is a new surprise. Literally every week we are seeing fruit from being in this unique position. There are locals that come to worship and serve regularly and they are both precious and faithful as they join with us as a new body of believers called Oasis Church. They too immediately take on a river ministry mentality and it has been so fun to serve with them! We are so blessed and thankful for those of you who have partnered with us in this new work. I cannot express enough our appreciation for First Baptist Gulf Shores for being our sponsor church; Spring Valley Baptist Church in Springville Al. for being our praying church; Eastpointe Baptist Church in Spanish Fort for supporting us with a financial gift each month for 2017; the NAMB and Al. State Board of missions for the start up support; and the incredible individuals who have so richly blessed us through financial gifts, prayer and help over these last 15 months. Check out our new website http://www.oasischurchsbc.org to see what’s going on. 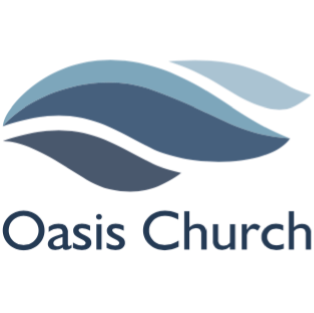 Also like us on Facebook at Oasis Church at the Wharf and watch one of our services live or recorded.